Posted in Cosmetic Dentistry, Dental Extractions, Dental Implants, Midtown Manhattan Dentist, Upper East Side Dentist | Comments Off on Why Are Dental Implants Important? Dental implants are becoming more and more popular in New York City. Are you looking for a dental office near you that specializes in dental implants? Midtown Manhattan Dentists and Upper East Side Dentists offices are buzzing with patients who want to get dental implants. Why have dental implants become such a huge phenomenon? Dental implants have many advantages, but the most important reasons why dental implants are so popular are because dental implants look and feel like natural teeth. Dental implants are artificial tooth replacements. Dental implants are used to replace a missing tooth or several teeth. Dental implants can help to stop or prevent jaw bone loss. The dental implant procedure is a form of cosmetic dentistry that falls into the category of prosthetic (artificial replacement) dentistry. The decision to replace missing tooth roots using dental implants offers not only the aesthetic advantages of having a great smile, but dental implants provide dental patients with the strength, durability and comfort that until now only your natural teeth could provide. Dental implants allow people to eat all the foods they love, without struggling to chew. Of all of the dental restorative options to treat missing teeth, dental implants have proven to be the most effective and durable dental procedure. Dental implants are the best choice for the restoration of all necessary functionality of the teeth and jaw bone. When Should I Choose Dental Implants? Patients who have lost teeth due to tooth decay, root canal failure, gum disease, excessive wear and tear or congenital defects can all benefit from dental implants. People with missing teeth not only feel self-conscious about smiling and even talking. In addition, missing teeth can cause discomfort, disrupt eating habits and lead to more dental problems. Dental implants can put an end to the problems caused by missing teeth. Dr. Yelena Simkha specializes in dental implants and cosmetic dentistry. To find out if you are a good candidate for dental implants, simply call Dr. Simkha’s Midtown Manhattan Dentist Office at 212.683.4330 or Upper East Side Dentist Office at 212.249.3399 to schedule a dental consultation. 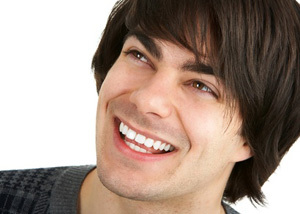 There are various treatment options available to patients by choosing dental implants. Dental implants are an excellent permanent solution for missing teeth. Not only do dental implants look like natural teeth, but you will be surprised at how much dental implants feel like your natural teeth. Dental implants can be used to replace a single tooth, or dental implants can replace multiple teeth. Some patients require dental implants for a complete mouth restoration. Dr. Yelena Simkha specializes in dental implants and cosmetic dentistry. Dr. Simkha offers same day dental services in our dental lab on the premises. Dental implants used at both Prestige Dental’s Midtown Manhattan dental office and Upper East Side dental office are constructed with a pure titanium base. Titanium is exceptionally strong and ensures that the dental implants are long-lasting. Dental implants bond tightly to the bone just like a natural tooth root. Dental implants are so successful because they stops bone resorption and helps to maintain facial structure and jaw line integrity. At Prestige Dental, Dr. Simkha will take the time to educate patients about dental implants. During a dental consultation, all of the aspects of dental implants will be discussed and you can ask any questions that you may have about dental implants. To find out if you are a good candidate for dental implants, simply call Dr. Simkha’s Midtown Manhattan Dentist Office at 212.683.4330 or Upper East Side Dentist Office at 212.249.3399. During the dental implant consultation Dr. Simkha will discuss whether or not dental implants are right for you. After discussing the advantages and disadvantages of dental implants, Dr. Simkha will assist potential dental implant patients in deciding if dental implants are the best course of treatment on a case by case basis.